The world's top nuclear researcher is either an insane murderess or a gullible innocent. The truth becomes clear when she is forced to recount the story of her marriage to a supposed alien to her therapist; and how she was later convicted for her husband's death. I loved this episode, but it made no sense whatsoever! I couldn't follow it past the 2nd sentence of dialog. But it's a delight and I recommend it for everyone. But what a confusing story. You'll love it. Captivating episode but at the end I was not sure if the man she killed was an alien or playing a hoax. Listening to these shows makes me think of important people from my past. 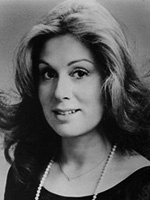 I was drawn to this episode to hear Judith Light. 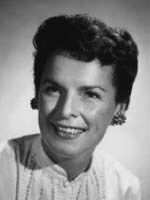 She was fine, but Mercedes McCambridge was amazing. Such a well-written episode. I think this is my new favorite.